What a trippy, fascinating, simple yet well-told story (by Leonardo DiCaprio, no less) about a flawed, cuddly, 5' tall megalomaniacal, bigoted genius who maybe never was? 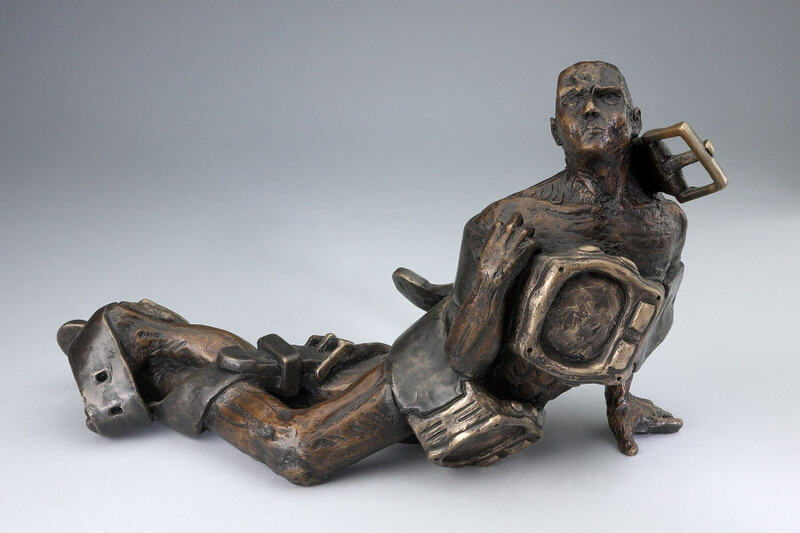 After the war, Szukalski started anew in California with his wife, Joan (and the clothes on their backs, and just three suitcases), but only got so far in his remaining years. He had no money, no supplies, no studio. "Southern California is the cultural Siberia of America. A wasteland. I am a patriot with no country." If you like history, and especially art history, his is a chapter worth seeing. His quote about Struggle, arguably one of his best known early works (and the namesake of this documentary), is poetic. 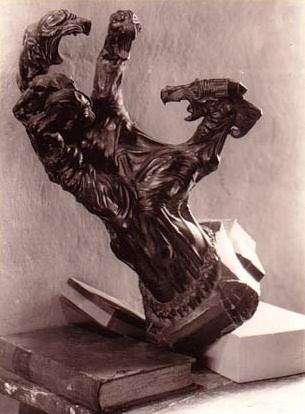 It features a fierce, talonlike hand at war with itself: "Our opposable thumb signifies the one against many. Quality over quantity." It represents his rage against the traditional European art academies, and could represent much more, but not nationalism versus the Jewish, despite some radical fringe groups having co-opted his work in recent years to serve their dark purposes. "Rodin couldn't hold a f***ing candle to this guy. Not a single testicle," says gonzo comic book artist Robert Williams when describing Szukalski. Like any tale recounting a lifetime 93 years in length, this one, too, includes a few questionable patches of black ice. Moreover, the line between genius and maniac is often tenuous. On the whole, however, I would say that the quality of his quantity was insane, and most of it is lost to the sands of time. Potential unlived, and then some. It's a testament to his fortitude that he didn't lose more of his mind. To be so prolific yet so unseen, unappreciated, unfocused, underutilized by anyone with virtue and means to point him. Until Glenn Bray, that is. Watch, and you shall see. 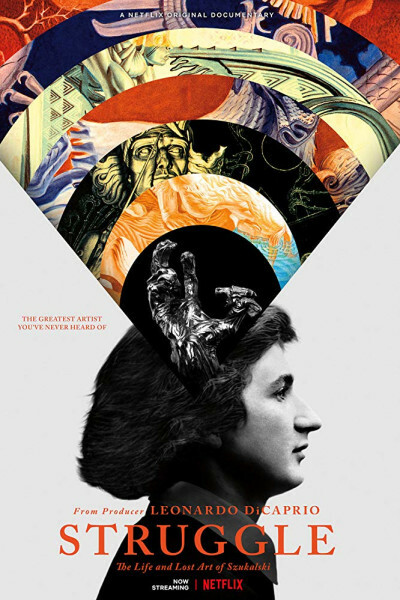 Had Szukalski found the proper path—and a proper audience—oh, what a positive contribution he might have made. A life of method, perhaps, eclipsing his madness.